Farmhouse kitchens are large and full of character and blend a multitude of distinct styles – cottage, vintage, rustic and traditional. 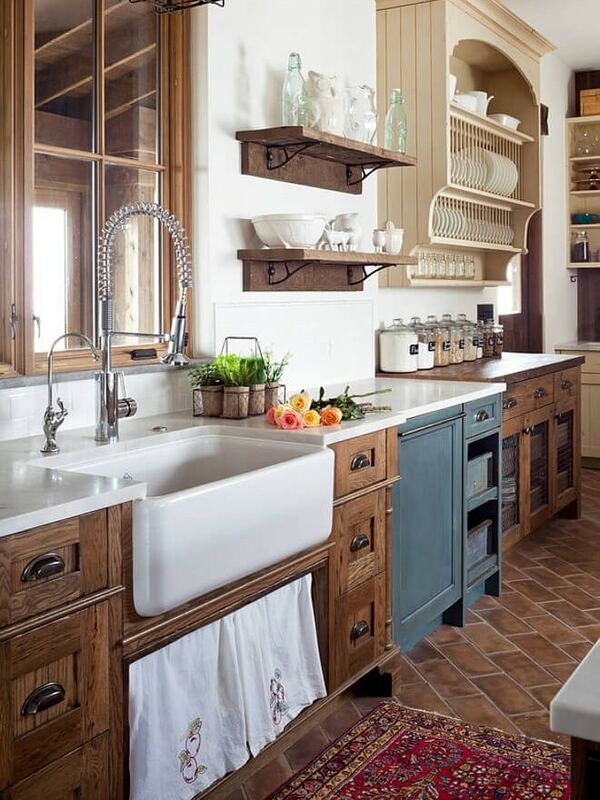 They always imbue a warm and welcoming feeling, reminiscent of a traditional kitchen on a family farm. They are identified by the use of warm materials such as timber, stone and wood and soft color hues. The cabinets are usually light colored shaker flat panel or shaker tongue and groove to create a contrast with these darker materials. A large kitchen island with a butcher block countertop or antique family dining table is an absolute must in a farmhouse kitchen. Free-standing furniture such as an old-fashioned sideboard, a vintage look cooker and extractor and a large farmhouse sink will all add to the look. 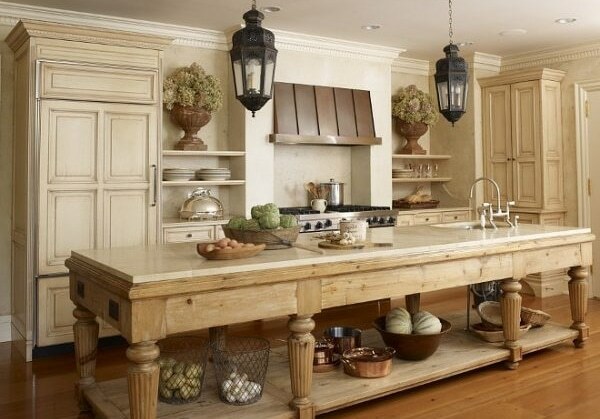 Wooden ceiling beams and hardwood floors can be an integral part of the kitchen. 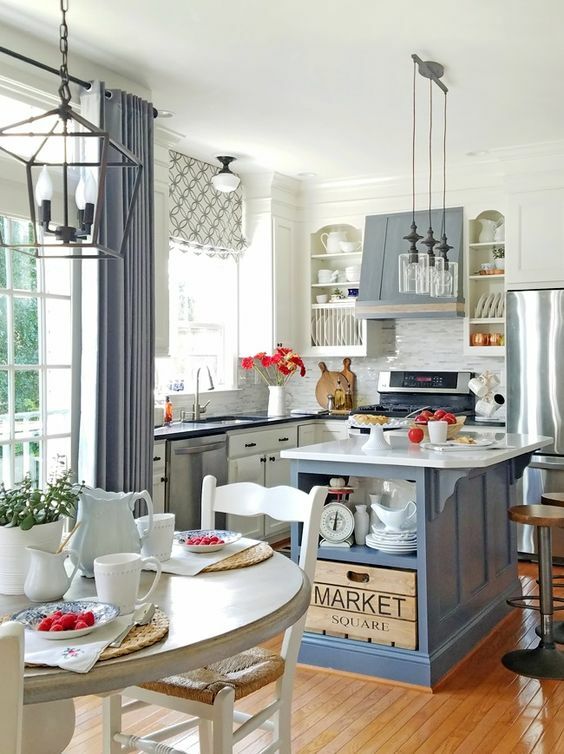 Add a hanging rack above the kitchen island for pots and pans. Create an accent wall with rustic wood open shelving to display jugs and pitchers, a vintage clock, mason jars, plate racks, an apron rack or other unique farmhouse decor. Cottage kitchens are by comparison smaller and usually incorporate tongue and groove or beading detail in cabinets and paneling . The color palette is usually pastel color or blue and white in seaside cottages. They are unpretentious and friendly, and the style grew out of homeowners using what was handy and inexpensive. 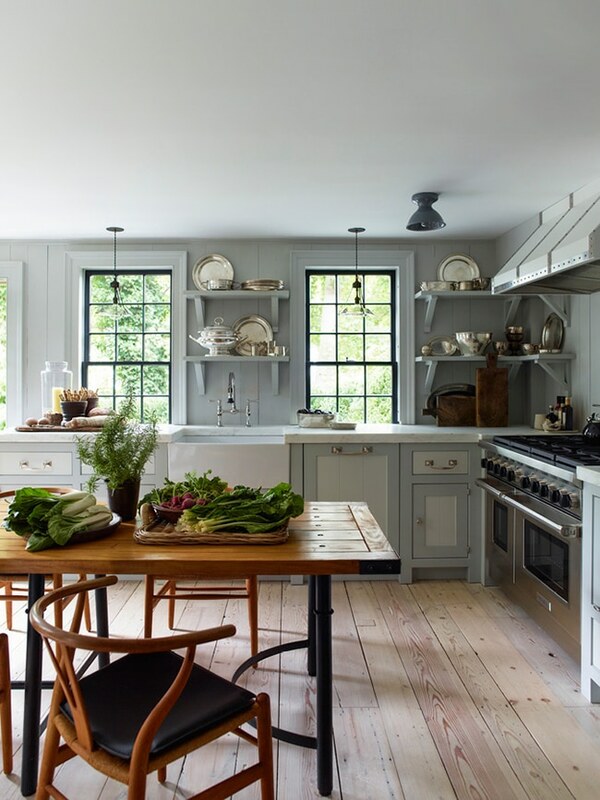 Because of this there is often an overlap with farmhouse style kitchens like the farmhouse sink, wooden or vintage dining tables, wicker baskets and leaded glass small pane windows. Shutters on the windows, distressed painted free-standing furniture, lots of florals and lace, vintage light fixtures, open shelving displaying white crockery and light wood floors add to the charm. Mixing old and new and adding handmade accessories is a staple of cottage decorating. 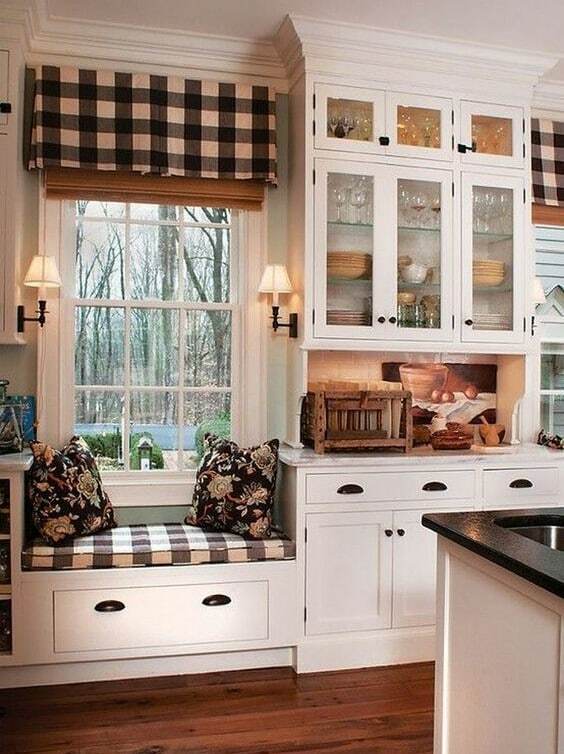 Above all cottage kitchens are about a comfortable and friendly gathering place for family and friends alike.